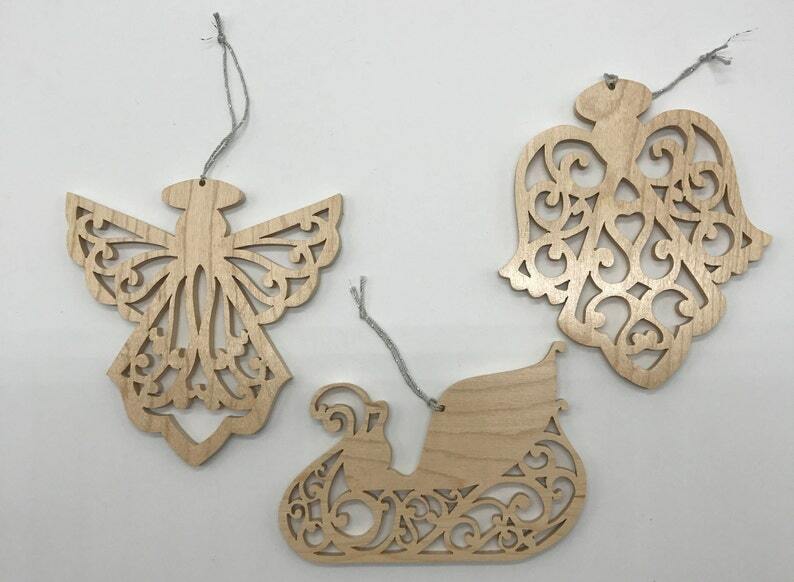 This set of three beautiful filigree ornaments is made from ¼” maple. The angels are approximately 4 5/8” by 5” in size. The sleigh is 5” by 3 ½” in size.